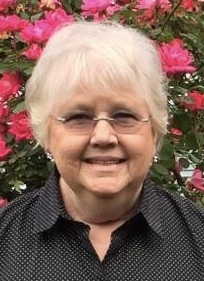 LINDA L. WILCOX, 75, of Benton passed away Monday morning, Jan. 14, 2019 in Benton. Linda was born on Sept. 17, 1943 in Benton, the daughter of Herman Lee & Dora Lucille (Hatchett) Dorris. She married Ferdie Wilcox on June 4, 1978, and he preceded her in death on April 13, 2008. Linda loved her family and especially treasured time spent with her grandchildren. She was an avid animal lover, a great cook, and enjoyed crafts, her flowers and baking cakes. Linda had a creative sense of humor and enjoyed life to the fullest. She touched the hearts of many and was loved and cherished by all who knew her. Linda was preceded in death by her Parents, Husband & by a Brother-Jim. Funeral services will be held at 1:00 P.M. Friday Jan. 18th at the Morton & Johnston Funeral Home in Benton with Rev. Mark Minor officiating. Burial will be in the Shiloh Cemetery in Whittington. Visitation will be after 11 A.M. on Friday at the funeral home.